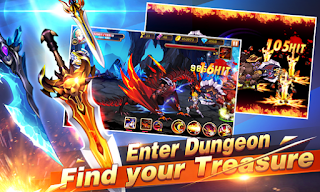 Overview: Brave Fighter2 Legion Frontier APK Brave new knight and combat action have been designed. Strengthen action performance！The sleeping Brave heart awake brings you a different fighting experience. Just like classic RPG. New beasts and equips have been added. These beasts can join your legion! Loots from treasure box till you satisfied. Mercenary comes to the Battle Frontier. Mercenary system becomes more powerful. Mercenaries can get their equipments and they have their own unique skill to strength your legion! 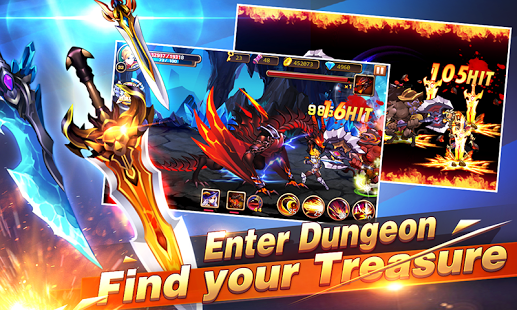 Valkyrie and Honor Knight, several kinds of mercenary are waiting for your legion. Formation of team is important. Battle will become more strategically and funny. 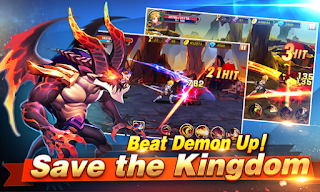 Grouping your own legion with different mercenaries and skills, satisfy your formation to make battle easier! Keep watching your formation in battle. Fighting in Frontier! Well-designed character action, so you have a completely different battle experience, and brings more gorgeous exquisite fighting action. 03/09/2018 – No changes indicated.